A career as a Phlebotomy Technician can be very rewarding. Phlebotomy Technicians work with patients daily and fulfill an important role in our healthcare system. If you want to become a Phlebotomy Technician, a good first step is to obtain Phlebotomy training. This means getting info on a local Phlebotomy School that is right for you. Training Direct in Bridgeport, CT and Danbury, CT can help you as you pursue your career training goals. We offer a phlebotomy training program. The phlebotomy training program at Training Direct is designed for those students who wish to pursue a career as a Phlebotomy Technician. Training Direct’s Phlebotomy Technician training program strives to expose students to the knowledge and skills needed to excel as a Phlebotomy Technician in the healthcare field. 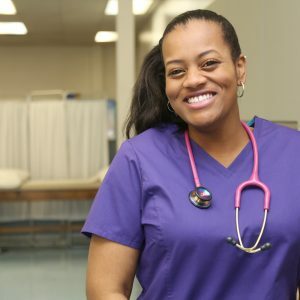 A Phlebotomy School is often the bridge that helps connect students with their dreams of pursuing a career in healthcare. 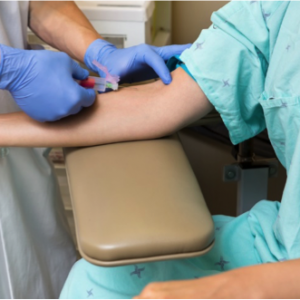 A great Phlebotomy School can help equip its students with both the knowledge and skills necessary to pursue entry-level employment opportunities in their field. 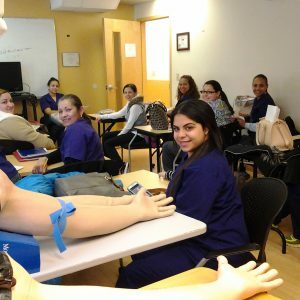 When a student chooses Training Direct in Bridgeport, CT or Danbury, CT as their Phlebotomy School, they will have the opportunity to train in just a matter of weeks to pursue a new career in the medical field. Here at Training Direct, we strive to provide useful information on careers in healthcare. We invite you to read more on our blog. We have helpful info on topics such as Phlebotomy Training and Phlebotomy School. We also strive to share useful info on other topics such as Phlebotomy Technician careers. Take the first step! Learn more today. You can explore how to become a Phlebotomy Technician in Connecticut with help from Training Direct. Are you ready to take the first step? If so, you should consider the Phlebotomy Technician training program at Training Direct. Your new career as a Phlebotomy Technician can begin here at Training Direct.